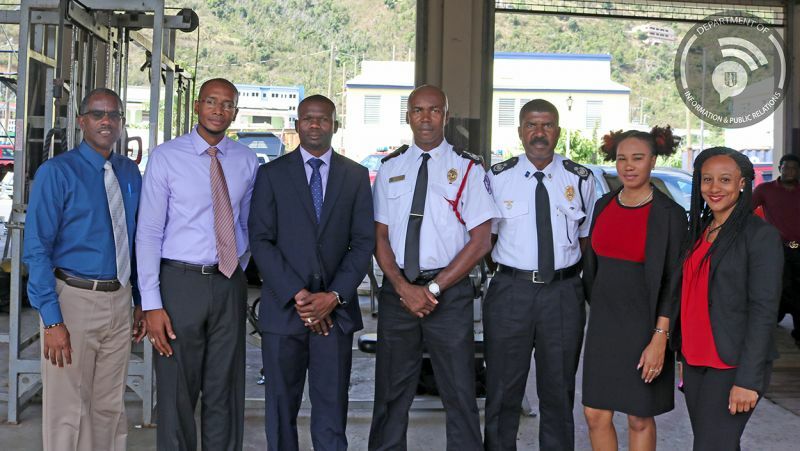 ROAD TOWN, Tortola, VI - Minister for Transportation Works and Utilities, Honourable Kye M. Rymer met with officers of the Virgin Islands Fire and Rescue Services as part of his continuing familiarisation tours of the departments under his ministry. According to a press release from the Government Information service dates April 2, 2019, Chief Fire Officer, Mr. Zeablon A. McLean and his officers welcomed the minister to the headquarters in Road Town and escorted the officials on a tour of the facility currently under restoration. Honourable Rymer reiterated his commitment to the emergency response arm of his ministry and assured Chief Fire Officer McLean and his officers that he will be available to hear and act on their concerns. Mr. McLean said the officers appreciated the visit and thanked the minister for his commitment to assist the fire service. The minister was accompanied by officials from his ministry including Acting Permanent Secretary, Mr. Jeremy Hodge; Acting Deputy Secretary, Mr. Andrew St. Hilaire; and Acting Deputy, Secretary Ms. Haley Trott.